What can teachers do to help children with Autism be successful in the Classroom? If your classroom is anything like the thousands of classrooms in schools across Australia, then it is likely that there will be at least one student with Autism among your students each year. While every child with Autism is different, and has their own unique set of strengths and challenges, there are a few simple things that you can do to give any child with Autism the chance to be successful in your classroom. Develop a relationship with the child. Children need to feel accepted, acknowledged and genuinely liked by the adults caring for them to be able to develop trust and feel safe in the school environment. When a child feels connected with their teachers and support staff, they are more likely to trust in their decisions and be more responsive to behaviour management strategies too. Taking some time to learn about a child’s interests, and using that knowledge to make a positive connection, can make a big difference to how a child with Autism responds to you and the demands of the classroom. You might need to remember the names of some Pokemon characters, find out how to build a house in Minecraft or spend some time learning about horses, but finding moments to share with your student with Autism to show interest in them and their passions, is definitely an investment worth making. As adults, we often speak in ways that are indirect and assume others can infer the message hidden underneath our words. While this is usually the case for neurotypical children, children with Autism often struggle to understand the subtleties of language, even when their own language is well developed. This can lead them to get stuck on a literal interpretation of the words being spoken instead of the message being conveyed underneath. Children often come to me confused and distressed by events in the classroom or playground that have been caused by unclear communication, particularly when their misinterpretation of an instruction has led to them getting in trouble and they do not understand why. For example, one 9 year old boy came to me bewildered and feeling that he had been unjustly punished following an incident in his classroom. He had been told that once he finished answering questions on a worksheet he could have free time in the classroom. He answered the questions quickly with short sentences and spent the rest of the class reading. 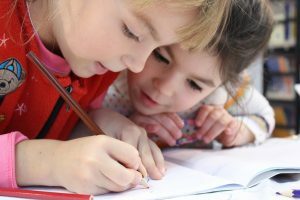 When the teacher checked his work she was not happy with his answers – she expected a paragraph in response to each question but had not clearly communicated that, assuming that the child would know what was expected – and he was made to stay in at recess and write more in answer to each question. Taking the time to use clear unambiguous language and ensure expectations are fully understood, can make a big difference to an Autistic student’s performance in the classroom, and also help to reduce feelings of uncertainty and anxiety. For the majority of children with Autism, experiencing anxiety is a part of everyday life, and can have a profound impact on their ability to cope with the school environment. When people or situations are unpredictable a child’s anxiety levels are likely to increase, sometimes leading to challenging behaviour and meltdowns, as the child loses the ability to regulate their emotions and control their behaviour – the fight, flight or freeze response. You can make your classroom more predictable by having regular routines, visual schedules and clear expectations. When a child understands what is happening each day and what is required of them, the classroom becomes a familiar and predictable place and their feelings of anxiety decrease. However, predictability is not just important in the day’s activities, but also in how you and other staff respond to the child with Autism and his or her behaviour. This is particularly evident when a child’s regular teacher is away, or when attending specialist classes. If a child is allowed to lie down during mat time in your class, but gets in trouble for lying down when he has a substitute teacher, this will cause confusion and anxiety, and possibly challenging behaviour if the child feels he or she is being treated unfairly. Ensuring there is consistency not just in classroom routines but also across staff responses when supporting a child with Autism, will result in a more settled and engaged student. Curiosity is often said to be the opposite of stress and anxiety. This can be a powerful observation when you have a child with Autism in your classroom who is engaging in challenging behaviour. While it is natural to feel stress, anxiety and frustration when faced with a challenging child, being curious about what the child is communicating by behaving in this way, and what might help the child change their behaviour, can really assist in taking the emotion out of the situation and allow you to approach the problem in a more effective way. Acknowledge their feelings and experiences. The difference in thinking and sensory sensitivities that are commonly associated with Autism, often result in children with Autism perceiving situations differently to those around them. This can lead to confusion and conflict, as a child with Autism may insist that a situation has occurred in one way, and others involved in that same situation may have experienced it differently. It is important to remember that there are no right or wrong feelings. While as adults we might feel compelled to tell a child that they should feel a particular way in response to an event according to what makes most sense to us, it is not helpful to the child to have their feelings dismissed. Instead, we need to acknowledge the child’s feelings and their perception of a situation, and assist them to consider that there might be another point of view. Letting them know they have been heard and their feelings are acknowledged, can make a big difference in helping your student with Autism manage difficult situations and strengthen your relationship with them as well. With the support and guidance of an understanding teacher, children with Autism can have the positive experiences they need to achieve success in the classroom.